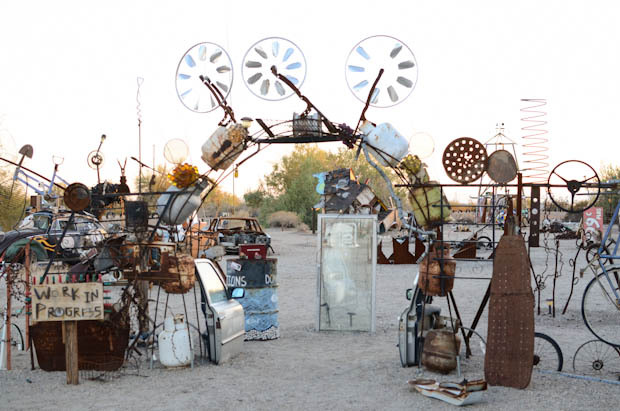 What you are about to see in the photos below is a bit eccentric to say the least! 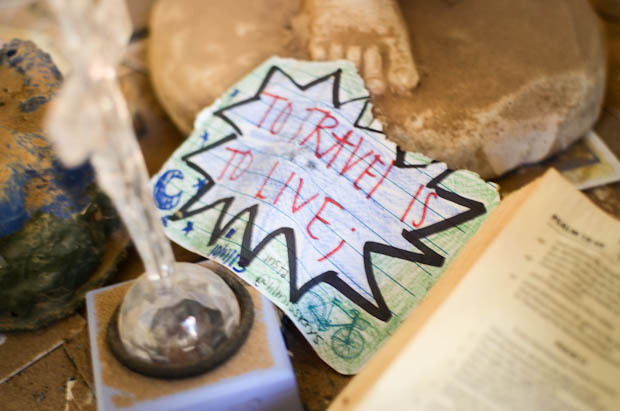 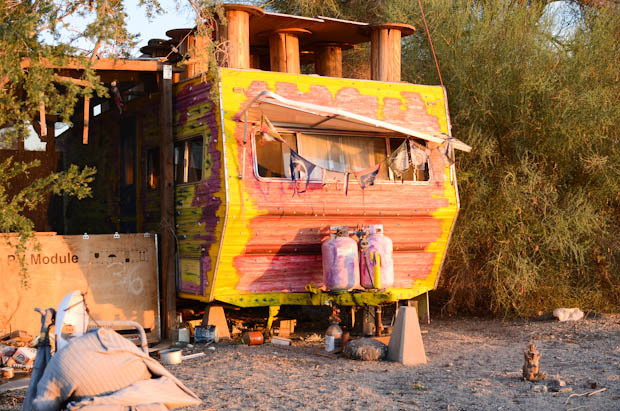 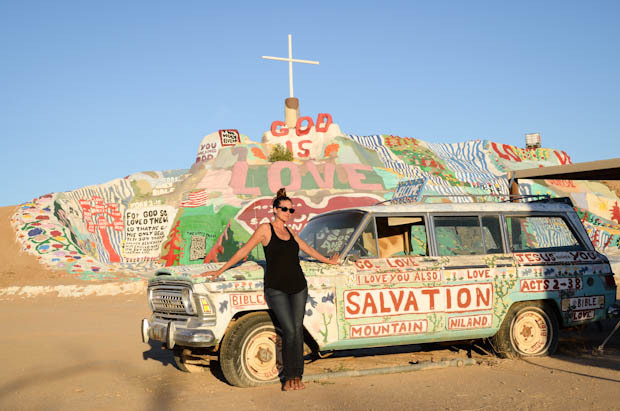 When our house sit came to an end and we decided to drive to Baja Mexico, it was suggested to us that we pass through Niland, California and visit Slab City on our way. 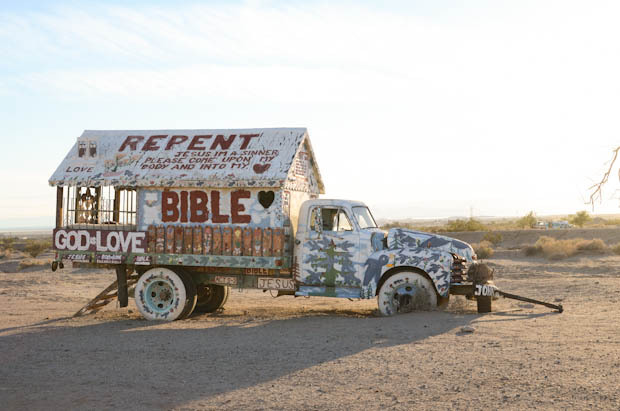 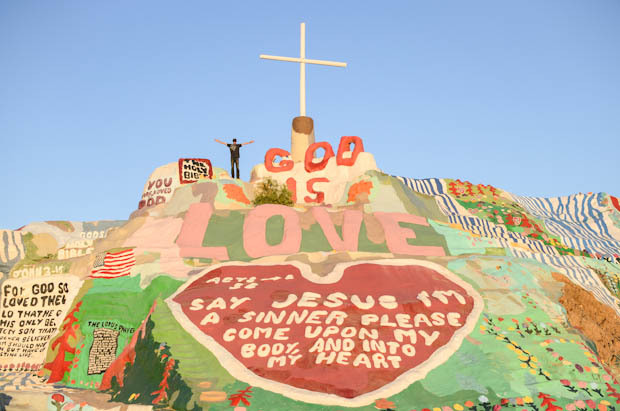 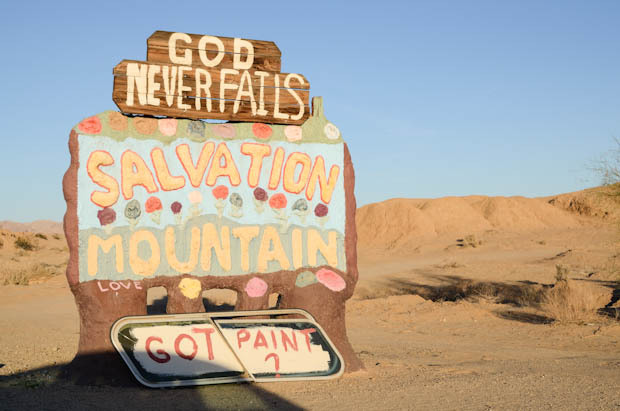 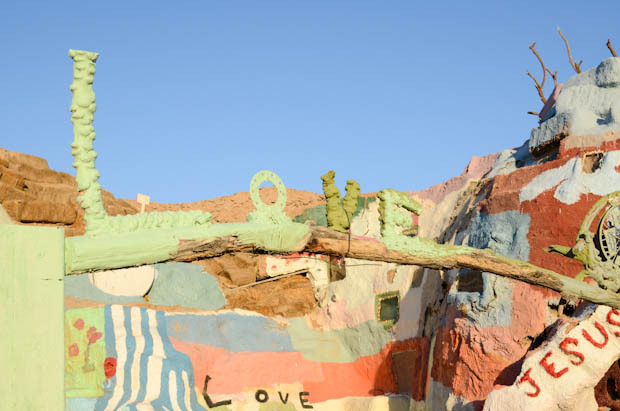 At the entrance to Slab City sits the profoundly strange Salvation Mountain, created by a man with a message using adobe, straw, and thousands of gallons of paint. 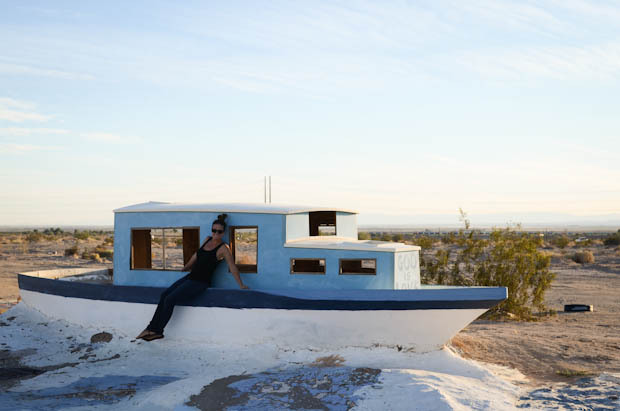 I can always manage to find a boat, even in the middle of the desert! 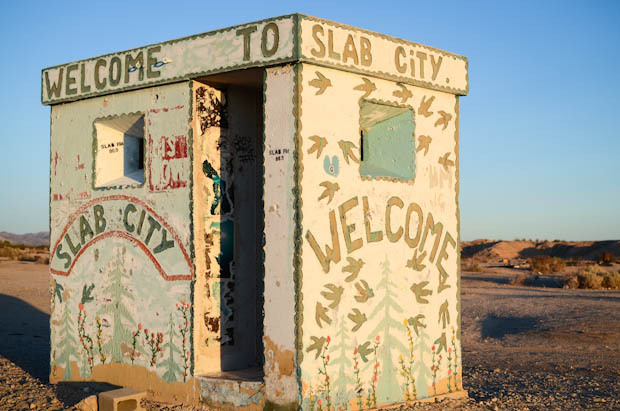 Slab City took its name from the concrete slabs the marine encampment left behind when they abandoned the area in 1956. 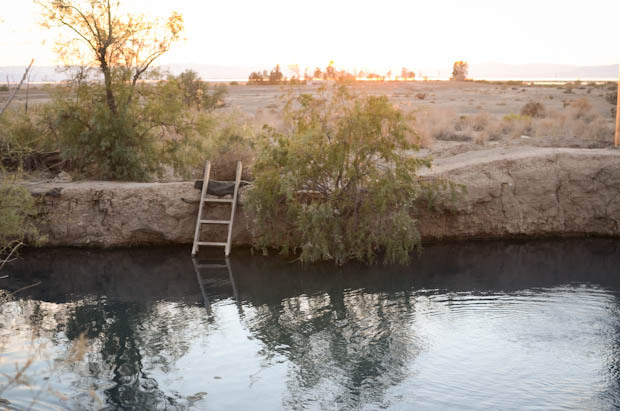 Squatters, artists, off-griders, and RVer’s alike moved in, taking advantage of the free rent – and it comes with a natural hot spring! 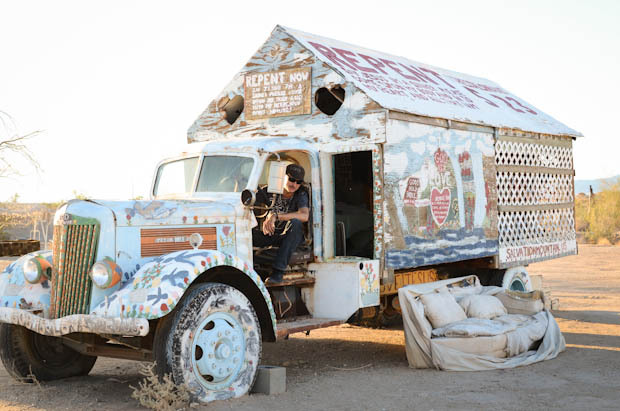 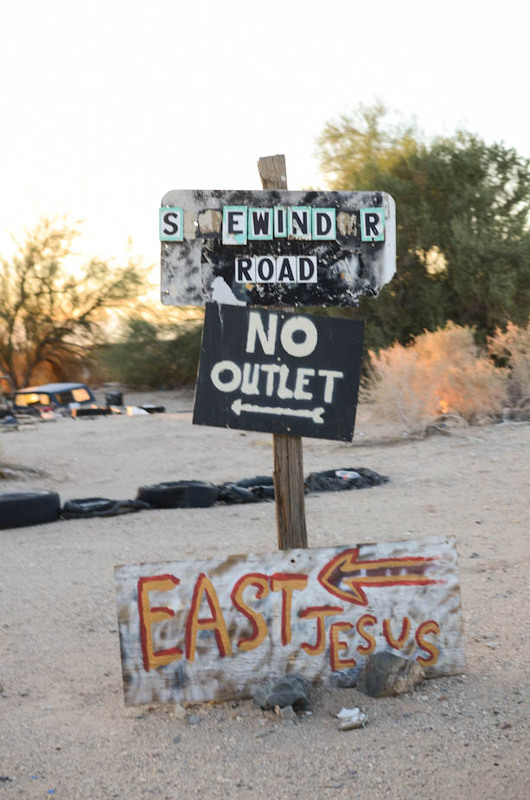 Now whenever I get fed up with the world at least I know there’s a place for me in Slab City! 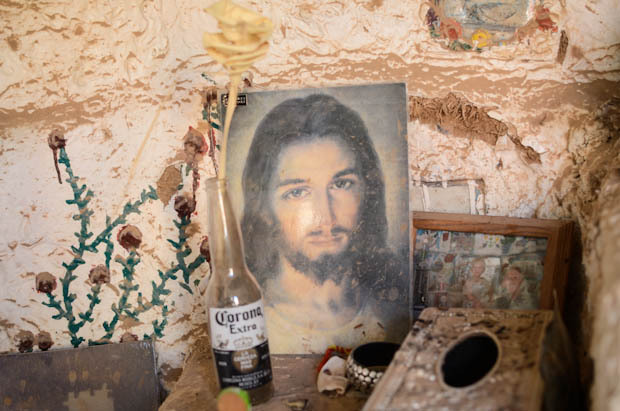 The area was and still is used as a dumping grounds, but a few creative people have been able to turn the abandoned junk into works of art. 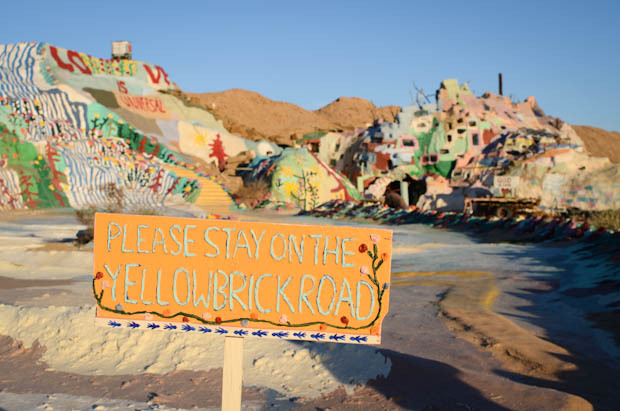 Yeah, it’s just that kind of place you have to see to believe!